In March 2014 Knowledge Unlatched started to unlatch books in its Pilot Collection, making them available to anyone in the world to read or download for free on a Creative Commons licence. This was the culmination of a behind-the-scenes process of loading the titles onto our partner host platforms: OAPEN and HathiTrust. 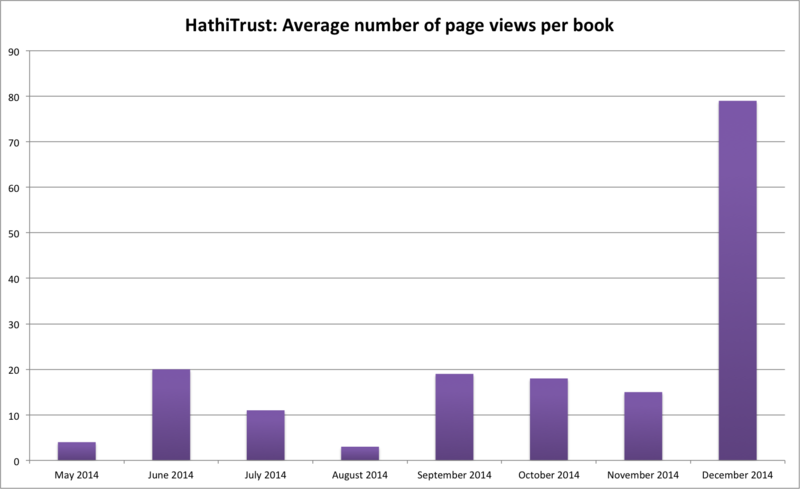 The books became live on the OAPEN platform first – followed soon after by HathiTrust. The final book in the Pilot Collection was published and made OA on 2 September. You can view a list of Pilot Collection titles and download them via the KU collections website here. The most recent OAPEN and Internet Archive usage statistics report can be viewed here. KU Pilot Collection titles have been downloaded over 23,000 times from 154 countries via OAPEN since March 2014, and 1,783 times via the Internet Archive. For the first time we are presenting statistics gathered by HathiTrust’s digital library. As their methodology is different to OAPEN’s, HathiTrust’s usage data is being presented separately. These numbers reflect views per page rather than downloads of each book. The reporting period started on 15 May 2014 and statistics below were gathered until 31 December 2014. We would like to thank Jeremy York and the HathiTrust team for partnering with KU.